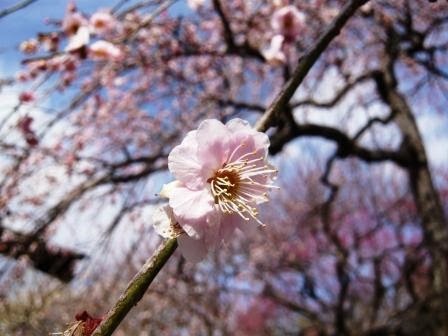 Plum (Ume in Japanese) blossoms bloom in February and early March, before cherry blossoms flourish at the beginning of spring. As I mentioned in the last post, I’ll introduce Mito, a city located above Tokyo on maps. 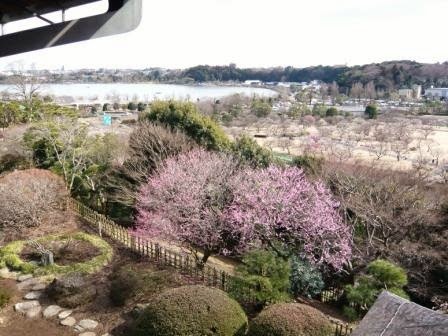 Mito’s Ume Festival is famous for its large beautiful Japanese gardens full of plum trees. The very main plum blossom spot is Kairakuen Park, but I have another place that I definitely want to recommend. 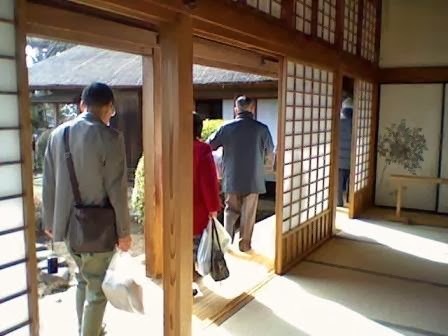 This is the entrance for Kodokan, a house that was samurais’ school. They sometimes hold a Japanese tea ceremony in English for international people. Personally, Kodokan was as amazing as Kairakuen Park in the following. 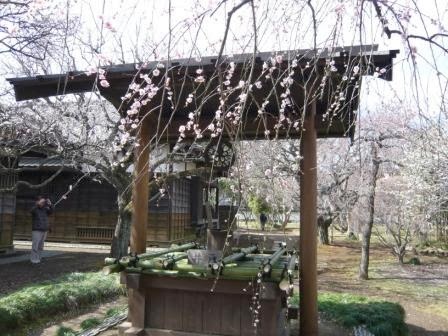 The most famous Ume spot in Mito is Kairakuen-Park, which is called “one of the best Japanese gardens in Japan”. The large garden was built by Nariaki Tokugawa, a samurai, in 1842 and has 3000 plum trees of 100 kinds. It was badly damaged by East Japan Earthquake in March, 2011, but now it has repaired to its original beauty. 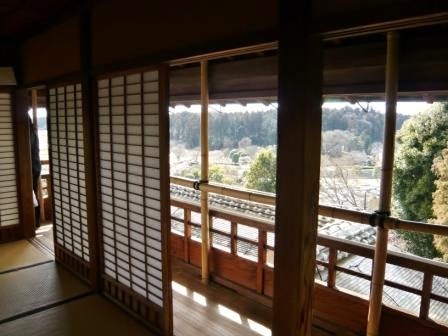 If you are a traveler who expects to see exotic architectures, a samurai movie fan or a Bleach (a popular manga) fan, I believe these pure Japanese houses will attract you so much. I recommend checking your socks when you visit them because you need to put off your shoes to enter. The flooring is cold in winter (it’s my experience there! ), so warm socks without any hole are fine. It will be even more beautiful when it becomes full-blooming and when it’s sunny. This article is not enough to tell you how beautiful the Plum Blossom Festival is, but I think you can feel the atmosphere at least – especially the samurai culture. 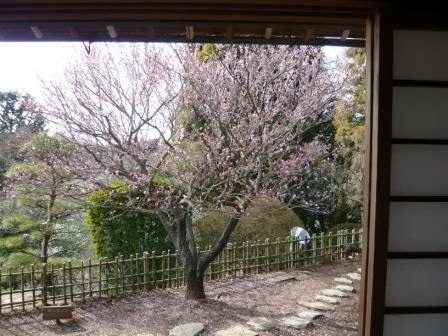 If you are planning to visit Mito for plum blossoms, I never stop you! If you are going to Mito, it’s a good idea to find a packaged train ticket or short trip from Tokyo at a travel agency, because it’ll be a great saving. 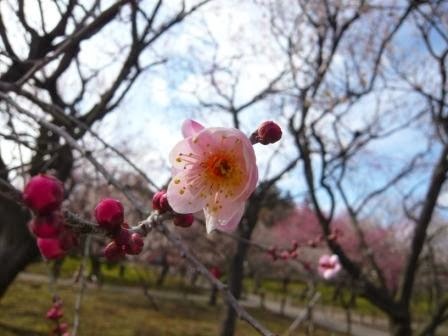 In 2014, Mito Plum Blossom Festival is held 20 Feb – 31 March. 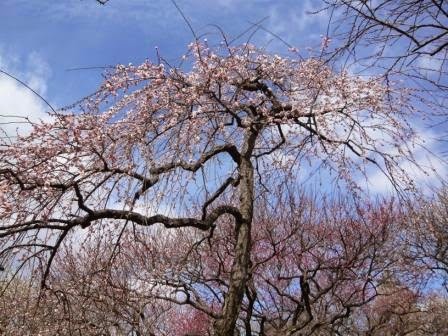 According to their website, 660 trees out of 3000 are blooming on 28 Feb.